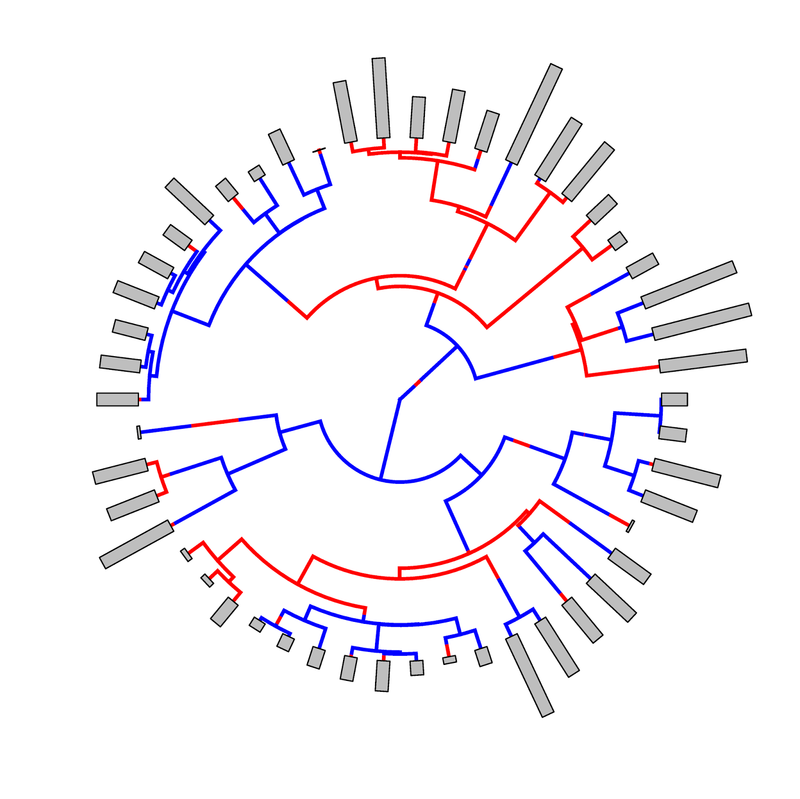 Earlier today, I responded to an R-sig-phylo request to be able to plot bars showing phenotypic trait values for species at the times of a circular or 'fan' tree. I have now added this function (plotTree.wBars) to the phytools package. It can be downloaded & installed from source here. 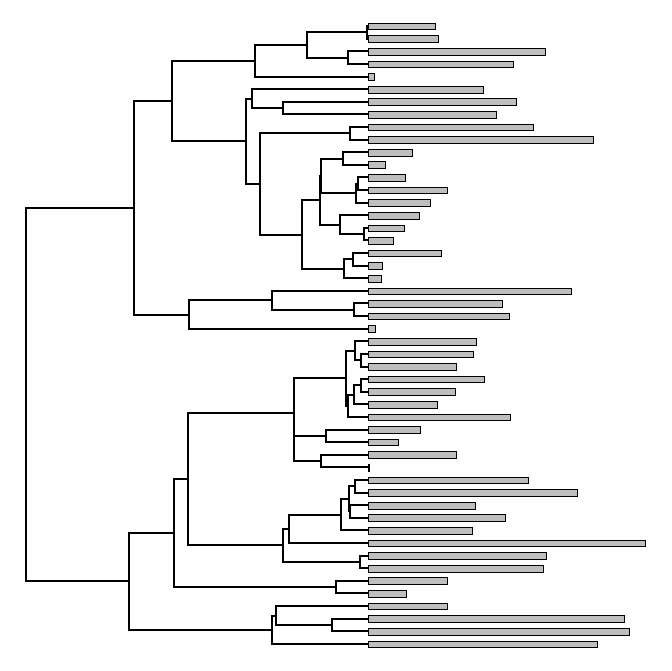 (1) Plots a square phylogram in "rightward" or "leftward" orientation. 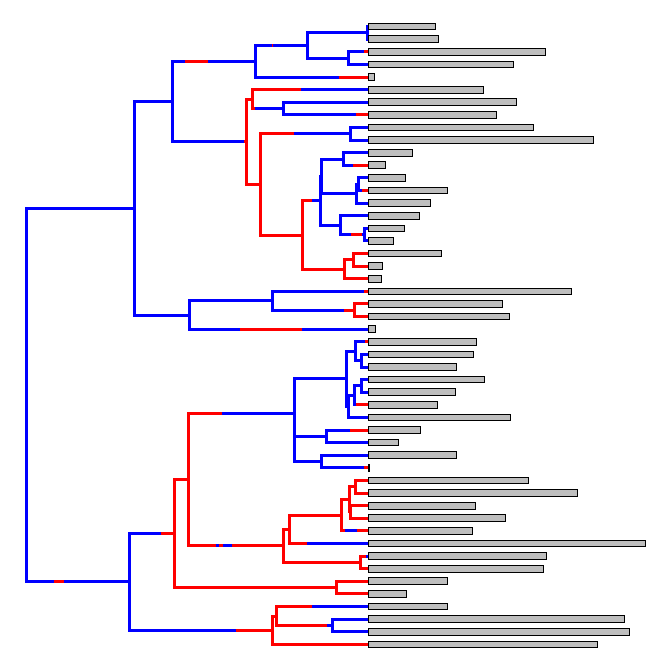 (2) Plots a stochastic character mapped tree (using plotSimmap instead of plotTree internally).